It is these words that resonate with the partnership which Business Leadership South Africa (BLSA) and Daily Maverick have commenced. 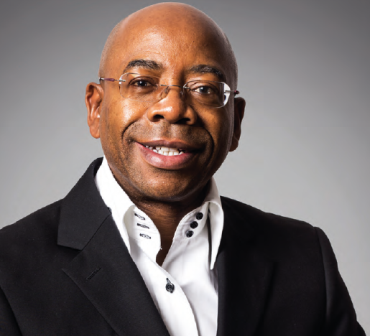 While the latter continues its trajectory of quality journalism that focuses on business and economic stories, BLSA views Business Maverick as a platform to combat corruption, fraud and State Capture in both the public and private sector. It is another way of holding the public and corporate citizenries accountable. The launch of Business Maverick comes at a critical historical epoch in the socio-eco- political scene in South Africa. It happens at a time when President Matamela Cyril Ramaphosa is embarking on a clean-up campaign of the state apparatus after almost a decade that was characterised by lack of economic growth, greed, looting, corruption, political mediocrity, lawlessness and no consequences for wrongdoings. One needs not look too far to see the dire consequences left by the beneficiaries of State Capture. On a daily basis, shocking revelations are heard through a number of commissions of inquiry that are currently under way. It seems the looters had no shame and no conscience. Various institutions were a theatre of corruption. Just one institution, Eskom, has a debt of over R420-billion. What was once the pride of our nation, SARS became a cover for corruption and helped criminals to shamelessly steal the resources meant to deliver basic services. The Mokgoro Commission reveals the extent to which our prosecution authorities were compromised. As if that was not enough, the PIC was also dripping civil servants’ pension funds in their billions in dubious transactions that disregarded basic investment pre-requisites. It was therefore not shocking that economic growth was scraping below 1% when the latest statistics were released. Business believes that the work is clearly cut out for the country’s leadership to create a conducive environment for economic growth. The image of South Africa has been harshly muddied. At this stage, the country will find it hard to attract investment and by extension, create jobs. We need a growing economy in order to create jobs. For the economy to grow, Eskom would have to be stabilised; South Africa’s tax collection capacity must be restored; corruption must be crushed; State Capture projects must be defeated; and there must be consequences for law breakers. If that is done, investors will begin (once again) to have confidence on South Africa. The return of confidence will result in more investments in the country’s economy. Jobs will be created. For us as businesses, the partnership with Daily Maverick should be able to achieve this main goal of exposing corruption. Having noted that the current decline was caused (among others) by silence and ignorance of malfeasance and corruption, Business Maverick should be that platform which will remain vigilant to act in an accountable manner, at all times. However, keeping check is not enough. Business Maverick, through Daily Maverick should continue to expose those who are found flaunting the rules of law. BLSA commits its resources to the cause that advances our clean business. This partnership should grow to become a source of inspiration to other social partners who wish to accelerate the fight against fraud and corruption. Beyond this, we should strive to ensure that dignity is returned to institutions such as the NPA which must process those accused of running the country down, to make sure they face the law and ultimately pay for their deeds. There must be consequences for wrongdoing in South Africa, and this partnership must be at the forefront of creating such an awareness and accountability. BLSA is excited to stand on the side of responsible business and governance practice.